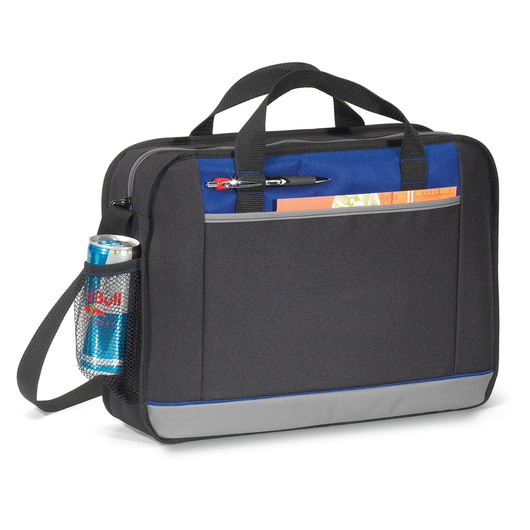 This satchel will bring a cool element to any meeting or conference! Don't tuck your stuff into your pocket! 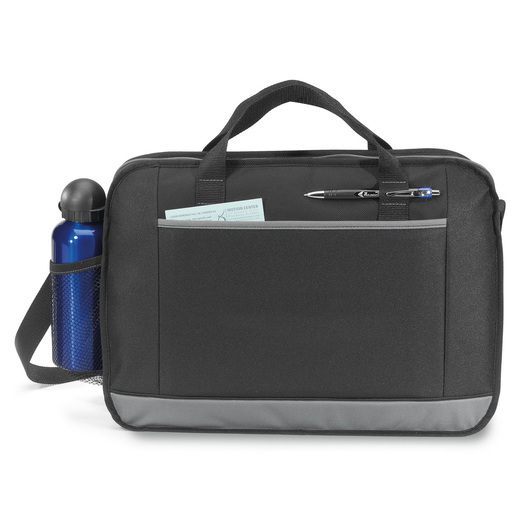 This satchel bag will carry your wallet, cell phone, pen, umbrella, etc. With its carrying capacity of 11.3 litres, you can be sure to carry more than your wallet and gadgets. Manufactured from 600D polyester fabric for a sturdy construction. 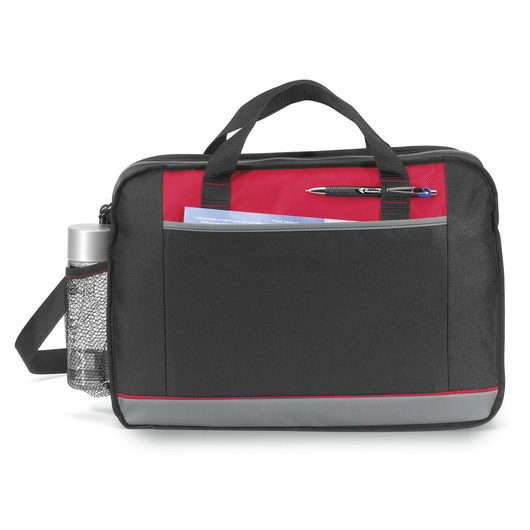 It also features a zippered main compartment, front pocket sized to fit up to a 10" tablet with a case, shoulder strap, top grab handles, water bottle pocket (water bottle not included), ID window on back, and pen or stylus loops. Perfect satchel bag for travel, school, or business. Durable design which can last for a long time. Versatile product and can be used as shoulder bag and much more!